For patients at a higher risk of pressure sore development, positioning aids may be necessary for use with specific high risk areas of the body, such as the heels. 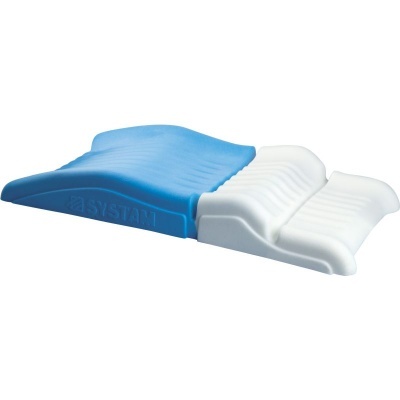 The Systam Pressure Relief Half Heel Pad is designed to prevent the development and aid the healing of pressure sores in the heels, featuring fabric coated with bi-stretch polyurethane. 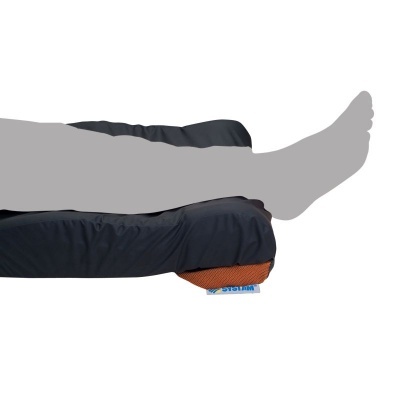 The shape of this heel pad allows the user freedom of movement to sit in various positions and receive pressure relief in each lower limb, making it suitable for those at high risk of pressure sore development. 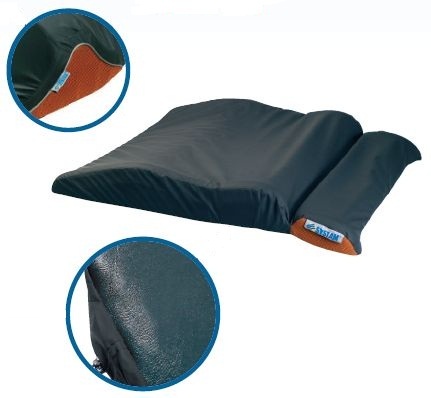 This pressure relieving pad reduces friction and shear effects while remaining comfortable and soft to the touch. 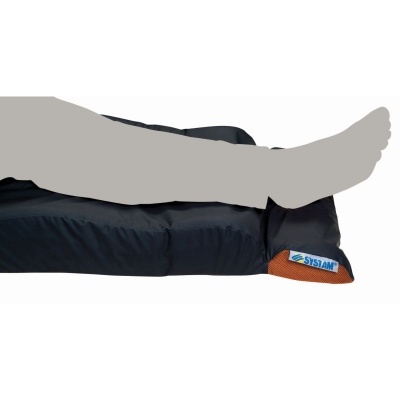 Designed to support the lower limbs, it is suitable for use by patients at a high risk of pressure sore development. With viscoelastic foam and a non-slip cover, patients and carers alike will have peace of mind that heels will be protected and the pad will stay where it needs to. The Systam Pressure Relief Half Heel Pad is particularly well suited to cases of moderate loss of mobility of the lower limbs with a high risk of pressure sores forming. 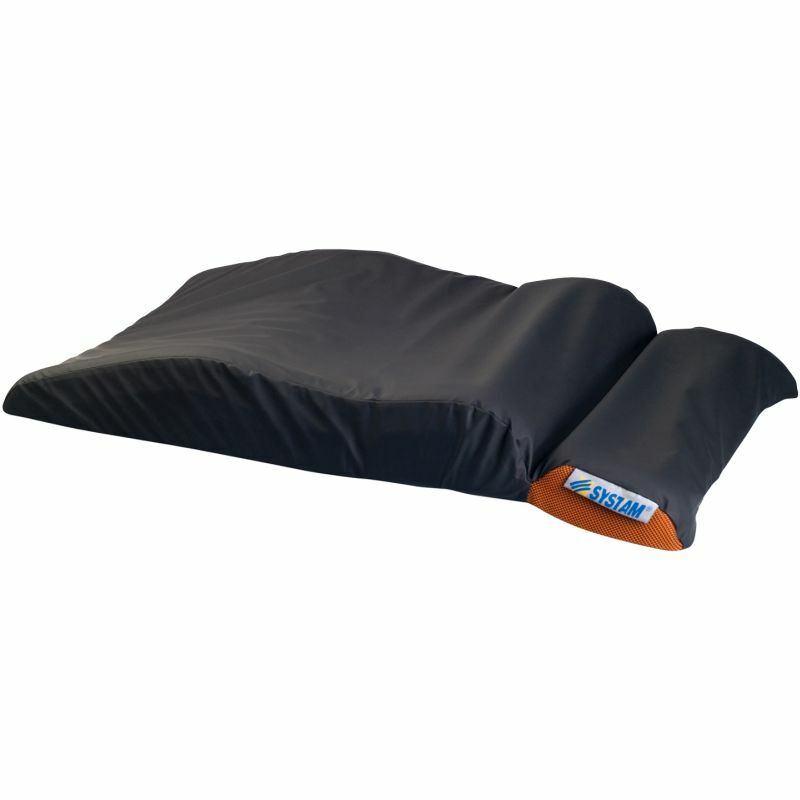 When used to assist with existing sores, this pad enables treatment of sores in cases of low to normal mobility. The Systam Half Heel Pad is made of Viscoelastic foam with memory effect, helping to reduce points of high pressure on the heels. The heel sinks into the memory foam, which, combined with the curved form of the system, reduces pressure peaks in the high-risk areas.